Accorduing to Reuters, the manufacturer will supply 15 turbines and build the wind farm on the Podvelezje plateau near the southern town of Mostar. The deadline to complete the wind farm which will produce 130 GWh of electricity, enough to supply 6,500 households, is 21 months, said EPBiH. Siemens Gamesa will also take over service work for five years. To date, Bosnia still generates 60 % of its electricity from coal-fired power plants and the remainder from hydro-power. It plans to increase the share of renewable energy to 43 percent by 2020. 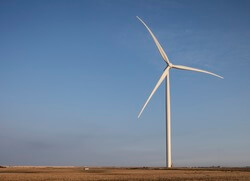 Several developers are seeking to add around 500 MW in wind capacity over the coming years, but so far only one wind farm has been put into operation.